Beginning writers often struggle with point of view; even more accomplished writers can slip into their author voice when they’re not paying attention, or neglect to draw their narrative deep into the POV of their character. Point of view affects storytelling as well as craft, and in some ways is the most basic part of writing: point of view is the story. For a long time, written stories were primarily a transcription of the oral tradition. Only with advent of cheaper printing methods did storytelling start to transform, giving the writer new point-of-view tools with which to tell their story. Suddenly the written page separated the storyteller from the storylistener, and the writer could do all sorts of new tricks, including convince the reader that they were the character. That enabled storytelling to become much more personal. Whether you’re using first person or third person (or heaven help you, second person), you can still use the distant storytelling style of the past, but modern stories tend to be more personal (there are of course exceptions to this). Many modern stories use Deep POV, which is just a way of saying your story is tightly bound to your POV character. Where beginning writers struggle is in confusing the two, mixing distant POV with Deep POV, or generally being unclear about whose POV we’re in. It’s important to have a strong grasp of this, because your choice of a point of view character answers the question: whose story is this? I absolutely adored the snippet at the end of the new Spiderman movie, where Peter Parker is in class and the teacher in the background is lecturing on storytelling. She says, “There are many who will say there are 5 or 7 or a dozen basic stories in the world. 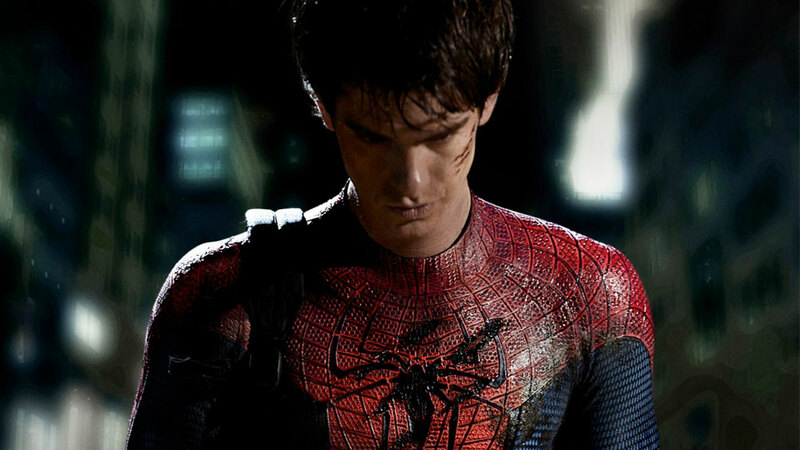 And some who say there is only one: Who am I?” That captures the essence of what I love about Spiderman and other superhero movies – they are character studies written larger than life. There are two parts to this: 1) choose a POV character (or two or three, if using multiple POVs) that the story is mainly about and STAY IN THEIR HEAD. Stay firmly in your character’s head; don’t stray off into other heads, including your own (i.e. don’t narrate the story as if you’re talking into a microphone). Beginning writers often think they MUST give the thoughts of a secondary character or the reader won’t understand what that character is thinking. But I don’t have to be a mindreader(!) to know what you’re thinking. I can tell by your words, actions, and body language. So can the reader. Make your reader feel the pain of your secondary characters without ever peeking inside their heads. You will have to work harder as a writer to do it, but I never promised this would be easy. When you’ve mastered how to do this, then feel free to head-hop (Artemis Fowl), switch POVs in 1st person (The Red Pyramid), write from a distant perspective (A Series of Unfortunate Events), and break any other rule I’ve listed. Because you will know what you’re doing, which is the only real rule for writers. Once you’ve mastered the mechanics of staying with your POV character(s), then make sure you do the second part: 2) TELL THEIR STORY. Make sure your POV character is the most compelling/dimensional character in the story (don’t let a secondary character steal the show); if another character’s story is more interesting, perhaps you should be telling their story, from their POV. Great post! I see this issue a lot and I love how you break it down. I would recommend every writer, at least once in their careers, rewrites a 100,000 word MS from one POV into another. 3rd limited to 1st is what I did, but you can do something else. I've never learned as much about POV as I did doing that. It was a ton of work, sure, but it was worth it. That is an excellent point! (And for the less brave, a short story might do the trick.) I did that once (1st person to 3rd, multiple POVs) and it was very instructive. There’s nothing like the hands-on mechanics to understand how the beast works. I also did a 1st to 3rd, multiple pov. I totally agree with that. I've written in both first and third. I've learned a lot. This is a great post. Thanks. I'm dealing with this issues RIGHT now in my MS. I keep changing it back and forth and I can't decide which one fits the story better. The way I've always heard best (to decide) is going back to story. Whose story is this? If you're just trying to get information in by having another POV, that's not the best reason. Try writing your blurb – a one paragraph distillation of the story – for each POV character you're considering. Your story should POP right out of that – if not, you may need to think about your story more, to have that firmly in your head, before deciding whose story it is. Good luck! I admit, I do like interior design, pottery, and things made out of whicker. The first book I wrote was distant 3rd, sharing thoughts from multiple characters within the same scene. I've learned now that 1st person and deep 3rd are where it's at, especially for YA. Changing to 1st person was tough, but it was a great challenge that helped push my writing. I almost always do third-person omniscient, but once in a great while will do something that's more third-person limited. A long time ago, I wrote more in the first-person (but only one book-length story, told in diary format), but it's been probably 20 years since I last did that. I've decided to finally take that pioneer saga off the shelf and give it a radical makeover, so it's going to be a challenge to see if I even remember how to write first-person and not get into anyone else's head! Sounds like a great writing challenge! Good luck! Ashes by Isla Bick is an amazing example of close 3rd person. You don't even realize it's not in first.